Chancellor-Elect Sayde Joy Ladov (left), a principal with Offit Kurman, outlined her agenda for 2009 when she will serve as the Bar's 82nd Chancellor, at the Monday, Dec. 8 Annual Meeting Luncheon. Click here to listen to the podcast of the event. Rudolph Garcia, a partner with Buchanan Ingersoll & Rooney PC, will serve as Vice Chancellor of the Philadelphia Bar Association in 2009 after running unopposed in the Monday, Dec. 8 election. 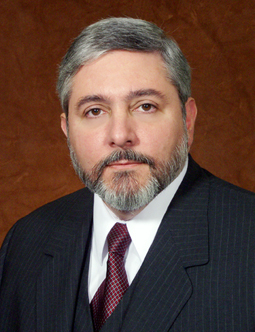 Garcia will serve as Chancellor-Elect in 2010 and Chancellor in 2011. The following candidates for Bar offices also ran unopposed and will be serving in their positions on Jan. 1: Secretary, Kathleen D. Wilkinson; Assistant Secretary, Sophia Lee; Treasurer, Jeffrey M. Lindy; and Assistant Treasurer, Joseph A. Prim Jr.
Regina Foley (1,249 votes), Jeffrey Campolongo (997), Danielle Banks (984), Michael Shaffer (946) and Sean Sullivan (907). Also receiving votes were Stacy Tees (665) and Phyllis Horn Epstein (478). Alicia A. Garcia (311), Alyson Oswald (296), Alexis Arena (268), Rachel Kopp (266), Brandon S. Bruce (265), Richard Vanderslice (257) and Justin S. Moriconi (236). Also receiving votes were Edward Scott Goldis (215) and Christopher M. Guth (223).